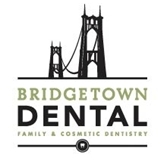 Bridgetown Dental (Portland) - Book Appointment Online! Dr. Kaady is a dentist whose primary concern is what matters most — improving and maintaining your oral health. So read why our patients rank Bridgetown Dental clinic as number one among Portland dentists, and then schedule a visit. We’re located in the heart of St. Johns, just off the freeway and minutes to almost anywhere in Portland and Vancouver, Washington.